Mark Latham needs to stop bullying women. "It's time to stop this man from bullying all working women." What do you do about a persistent bully? Ignore them? Stand up to them? Go to someone who has authority over them and complain? Many of the people in my world are divided on this subject at the moment. Especially the women. Some who have been the victims of this bullying are in tears. Many are angry. A few are rolling their eyes and urging everyone to rise above it and stop calling themselves victims. It’s an interesting debate and no right or wrong answer. But it’s a distraction from the bullying itself. 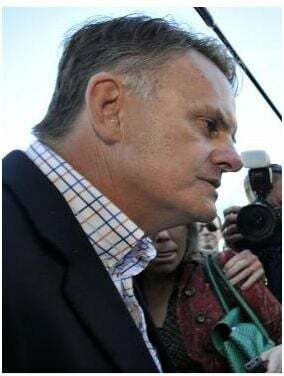 This time the bully is Mark Latham and for the past four weeks he has waged a vicious, demeaning and sustained campaign against mothers who take antidepressants, mothers who work outside the home, women who identify as feminists and those who seek medical help for mental illness. It’s an enormous group at which he’s aimed his toxic spray but in the signature way of bullies, he has singled out several individuals for personal attacks including journalists and mothers Lisa Pryor and Sarah Macdonald. I know both these women personally. I have met their children and their partners. Part of me doesn’t want to tell you what brilliant, engaged, present, loving mothers Lisa and Sarah are because Latham’s vile accusations do not deserve the dignity of a response. However, his comments are on the public record – thanks to his employers at the Australian Financial Review who continue to pay him and give him a microphone to spread his bile to a wider audience than he would otherwise have if he was just blogging or tweeting to a self-selecting bunch of people who chose to follow him. This is the same newspaper who claimed to support and encourage women in their very public PR extravaganza last month when they announced their annual list of Australia’s 100 Most Influential Women along with a banking partner who presumably paid a lot of money to sponsor this admirable initiative. 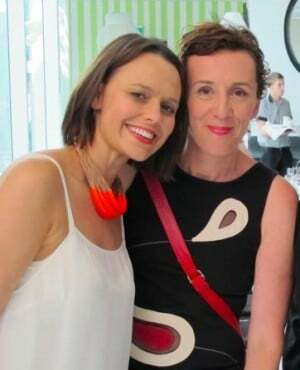 Mia Freedman with Sarah MacDonald at her 40th birthday. Since then however, they have published two columns by Mark Latham which have attacked mothers and women. He has also appeared on Fairfax radio stations 3aw and 2UE to discuss his columns. The repetition of these puerile attacks suggest this is pure trolling – saying outrageous or offensive things for the purpose of gaining attention and readers. It’s the most base level of commentary and from the public response, many are dismayed that the Australian Financial Review and its parent company Fairfax Media would stoop to harnessing misogyny to drive traffic. It feels like Latham and the Australian Financial Review have declared open season on working mothers. This isn’t just offensive to Lisa and Sarah and the other women Latham has named in a bid to shame them. It’s offensive and insulting to every mother who dares to have a life that includes her children and other things. It’s offensive and insulting to every woman who is brave enough to be honest about the hard parts of life after kids as well as the glorious ones. To those who say the best thing to do is to ignore bullies and misogynists like Latham is to ignore them, I respectfully disagree. We teach our children to stand up and speak up when they see someone being bullied. Ignoring someone who is being offensive, cruel or unjust can easily be misread as complicit agreement with the bully’s actions. I’ve seen two women being bullied by Latham in print and then further in radio interviews and I’m not OK with that. I’m not prepared to ignore it. I’m not prepared to just roll my eyes and dismiss Latham as “crazy” or “unhinged” as many others do. Frankly, I don’t care what he is. In my opinion, his editor, his publisher, the producers and radio hosts who invite him on air to degrade and demean women are all enabling his misogyny. If they are fine with that, then I think women need to know their position. I am a publisher and an editor and I choose not to give a platform to bigots or racists or vaccine deniers or misogynists. Anyone who pays Latham has that same choice. Sign the Change.org petition to have Latham’s offensive and derogatory articles removed from the Australian Financial Review’s website and any more from being published. You can also leave your comments on the AFR Facebook page or tweet your thoughts @financialreview.